One doesn’t need to be particularly invested in the steampunk genre to find a lot to like in this debut fantasy, which offers a fascinating medical / magical system; a world with conflicts between nature and faith and “scientific progress” as well as political alliances; and the mystical Lady, who is the source of healing, but whose powers also can hold a darker intent. When Medician Octavia Leaneder leaves the refuge of her training academy to make her way in the world, she does not realize she will be a focus for divergent forces, and a fulcrum for the fate of her land. 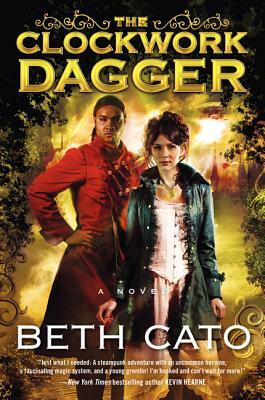 Octavia displays admirable resilience and creativity in her encounters with the intriguing apprentice Clockwork Dagger (espionage agent) Alonzo Garret, and various allies and adversaries. I am eager to spend more time in their company.